While a person’s outward appearance makes them attract people, it’s not the whole thing when it comes to magnetism. Magnetism or the attraction between two people does not follow a certain rule. The reason behind the attraction is rooted in the subconscious mind where we fail to describe into words what makes us get attracted to other souls. Some friendships or love relationships are built this way. You suddenly bumped into a person, exchange a few words, then feel a sudden surge of closeness with each other. Many believe finding this person is finding a soulmate. But then the attraction is not solely based on fate or destiny. According to science, these are based on a set of parameters that we hold in our subconscious minds. There’s no perfect person who is custom made for the other because the secret to a perfect relationship lies in constant hard work and understanding. Instead of working itself to fit your requirements and expectations, your relationship work the way you want them to work and, of course, with the right person. Here are the ways which attract souls unto each other. You attract someone when you fall in the same level of thinking. This is often seen as active mental seduction. This means, your conversations involve emotions, instincts, and intuition which keep both of you truly engaged in the relationship. 2. Reciprocating each other’s feelings. When your able to reciprocate the feelings of the other person, you’re opening yourself to a deeper and more meaningful relationship. Reciprocation strengthens the relationship and makes the bond grow stronger. Feeling appreciated and loved are strong emotions that make you feel your life suddenly has meaning. 3. Sharing the same viewpoint. You don’t want to be spending the rest of your day with someone whose viewpoint is almost exactly the opposite of yours. Though, creating a room for each other’s differences is healthy, defending always your viewpoint can be exhausting even if you’re not defending to win. Letting your defenses down when you’re with them is liberating. Sharing the same viewpoint also means that you’re standing on the same ground. This solidifies your relationship. You increase the attraction your significant other has for you when you’re able to face and overcome life’s challenges by their side. Challenges keep you to become closer and hold on to each other. Facing challenges together and constantly finding excitement even when you’ve been together for a long time make up for a relationship that is bound to stand through the test of time. 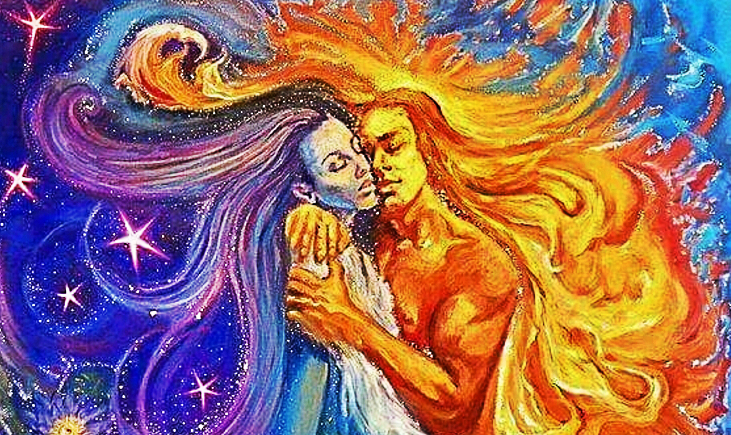 If you haven’t found your soul mate yet, keep in mind that you’re not actually trying to attract the perfect person; but you’re attracting someone who resonates more with you and able to journey through life with you. When they do come, they could either be your soul mate or the right one. Whatever term they’re called, they’re there to walk with you, and possibly grow old with you.